Brian has worked at Sandia since 2005. 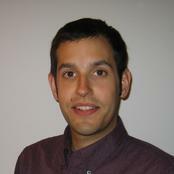 He is currently a principal member of technical staff in the optimization and uncertainty quantification department. Brian develops, implements, and applies algorithms for optimization and uncertainty quantification on computational models. He leads the Dakota software project, managing software development and deployment to ensure impact on the span of Sandia science and engineering problems. Brian earned a B.S. in Mathematics from Saint Michael's College in 1999, including minors in Computer Science and Music and certification to teach secondary mathematics. He was a U.S. Department of Education GAANN Computational Science Fellow at North Carolina State University from 2000-2003, earning his M.S. in Computational and Applied Mathematics in 2002. Advised by Dr. H.T. Banks, he earned a Ph.D. in Computational and Applied Mathematics in 2005 with dissertation Non-parametric parameter estimation and clinical data fitting with a model of HIV infection. Adams, Brian M., Shawn D. Pautz, Laura Painton Swiler, Brian C. Franke, Ethan Blansett, "Adjoint-enabled Uncertainty Quantification for Satellite Shield Design," Conference Paper, Mathematics & Computational Methods Applied to Nuclear Science & Engineering, April 2017. Pautz, Shawn D., Brian C. Franke, Brian M. Adams, Laura Painton Swiler, Ethan Blansett, "Adjoint-Based Sensitivities for Optimization of Satellite Electron/Proton Shields," Conference Paper, International Conference on Mathematics & Computational Methods Applied to Nuclear Science & Engineering , April 2017. Adams, Brian M., John Adam Stephens, "Dakota Sensitivity Analysis and Uncertainty Quantification with Examples," Presentation, SNL internal course on Uncertainty Quantification and Sensitivity Studies , April 2014. Adams, Brian M., Laura Painton Swiler, Russell Hooper, Allison Lewis, Jerry A McMahan, Jr., Ralph C Smith, Brian J Williams, "User Guidelines and Best Practices for CASL VUQ Analysis Using Dakota," SAND Report, March 2014. Adams, Brian M, William J Bohnhoff, Keith R Dalbey, John P Eddy, Michael S Eldred, Patricia D Hough, Mohamed S. Ebeida, Kenneth T. Hu, Laura P Swiler, Lara E. Bauman, John D. Jakeman, Dena M. Vigil, "DAKOTA, A Multilevel Parallel Object-Oriented Framework for Design Optimization, Parameter Estimation, Uncertainty Quantification, and Sensitivity Analysis: Version 5.3 User's Manual," SAND Report, February 2013. Adams, Brian M., "Sensitivity and Uncertainty Methods," Presentation, CASL Education Council Summer Student Workshop, July 2013. Vincent, Mousseau, Brian Adams, Kostadin Ivanov, Maria Avramova, Robert Salko, Taylor Blyth, "CASL L3 Milestone Report: L3:VUQ.SAUQ.P6.02; Apply VUQ Practices with Dakota to COBRA-TF for AMA-Relevant Problems," SAND Report, April 2013. Weirs, V. Gregory, James R. Kamm, Laura P. Swiler, Stefano Tarantola, Marco Ratto, Brian M. Adams, William J. Rider, Michael S. Eldred, "Sensitivity Analysis Techniques applied to a System Of Hyperbolic Conservation Laws," Journal Article, Reliability Engineering & System Safety, Vol. 107, pp. 157–170, Accepted/Published November 2012. Adams, Brian M, Lara E Bauman, William J Bohnhoff, Ethan Chan, Keith R Dalbey, Mohamed S Ebeida, Michael S Eldred, Patricia D Hough, Kenneth Hu, John D Jakeman, George E Orient, Laura P Swiler, V. Gregory Weirs, Employee Recognition Award, Team Employee Recognition Award, Sandia National Laboratories, For demonstrated success in transforming Dakota to a production computational tool in support of Sandia’s core NW mission and a growing external customer base, April 22, 2013. Adams, Brian M, Award, Honorable Mention for Notable Technology Development: DAKOTA Software, Federal Laboratory Consortium , September 15, 2012. Adams, Brian M., Invited Talk, Applications of Mathematics Colloquium, Loyola University Chicago, February 7, 2012.